As a law enforcement officer I am keenly aware of the importance of good health and top physical fitness. Whether I’m in a foot pursuit of a dangerous criminal or trying to instill confidence in the public with good command presence, being in good physical condition is essential. Because of this I have tried every diet under the sun to battle my growing waistline, and have been disappointed with the results time and time again. It was not until I found out about Delight Medical & Wellness Center that I was able to finally win my battle with weight loss once and for all. The problem with the nature of a law enforcement career is that it is not very conducive to eating healthy and exercising. With Police Departments all across the country experiencing staffing shortages, the officers on the streets are busier than ever. I know firsthand just how little time there is for police officers to take a break between calls, and that it is often a lot easier to drive through the nearest fast food restaurant than to take the time to get a healthy meal. Dr. Kerendian’s proven weight loss system was the answer to my weight loss struggles for several reasons. First off, it was fast and easy. The delicious pre-mixed Optifast shakes were more satisfying and much faster than any of those fast food restaurants. Second, I had more energy than I had felt in years, which allowed me to be more productive at home and at work. Lastly, Dr. Kerendian and his attentive staff were there every step of the way to make sure I stayed motivated, healthy, and on track. In only three months I could hardly recognize myself. I was sixty pounds lighter, and healthier than I had ever been. Believe it or not I actually weighed less than I did when I graduated from the police academy. Thanks to the nutritional education I received from Dr. Kerendian I have been able to keep the weight off for a year and a half, and counting. 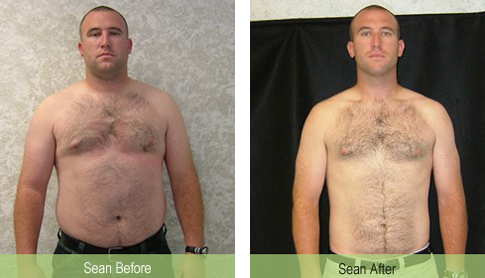 I highly recommend Dr. Kerendian to anyone who is serious about finally losing their excess body weight for good.